system, who can? Laura Adams had gone through all the standard diagnostic tests before being diagnosed with breast cancer. She was dismayed at how little information was shared between the providers and how she was not included as part of her own health care team. This experience does not bode well for patients, especially those with low health literacy. As home care and hospice professionals, we have the power to disrupt and transform the industry by focusing on patient and family engagement. Laura will share her personal story to illustrate how we must learn to use the information and data to improve the quality of the care we provide. 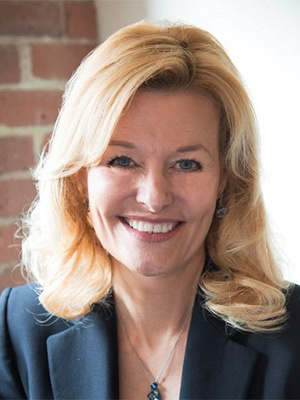 Laura Adams is the President and CEO of the Rhode Island Quality Institute (RIQI), a center of collaborative innovation that advances health and healthcare transformation. RIQI was named a CMS Practice Transformation Network, one of only 29 in the nation. She is the Massachusetts appointee to the Oversight Council for the MA Center for Health Information and Analysis and has served on the Rhode Island Governor’s Workgroup on Healthcare Innovation. This entry was posted in Registration, Speakers & Programs and tagged #homehealth, #keynote, #newengland, Hospice, NEHCC. Bookmark the permalink.